View More In Body Lift Kits. 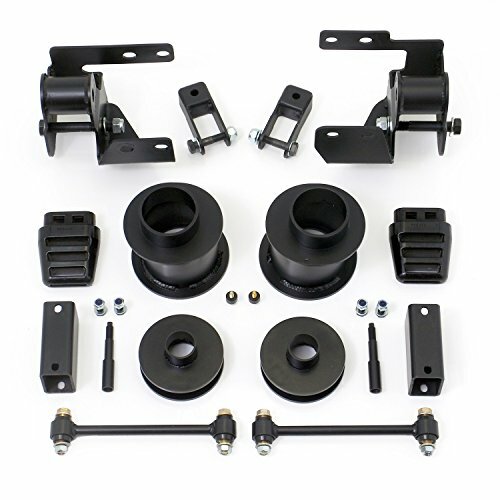 Kit provides 4.5" front and 1.5" rear lift. Includes (2) 4.5" lift powder coated steel front coil spring spacers, (2) special designed frame mount front radius arm drop brackets, (2) 1.5" lift powdered coated steel rear coil spring spacers, (2) front shock extensions, (2) rear shock stem extensions, (2) new special polyurethane front bump stops, (2) longer rear sway bar end links, and (2) rear sway bar frame mount spacers. Max tire: 37 x 12.5"
If you have any questions about this product by Readylift, contact us by completing and submitting the form below. If you are looking for a specif part number, please include it with your message.